The time you’re sleeping is never wasted if you use it to enhance your beauty. Apply one of the best anti-aging night creams and you’ll diminish wrinkles, soften your skin, and turn back time. You’re looking at this article for a reason. What kind of problems do you want to solve with a night cream? Do you want to make wrinkles and fine lines disappear? Are you hoping to get rid of blemishes, scars, or uneven pigmentation? Would you like to hydrate your face so it feels and looks younger? A top night cream can do all that while you rest in bed. As you’re shopping for skin care products, here are tips about some ingredients that can help you to achieve the effects you desire. 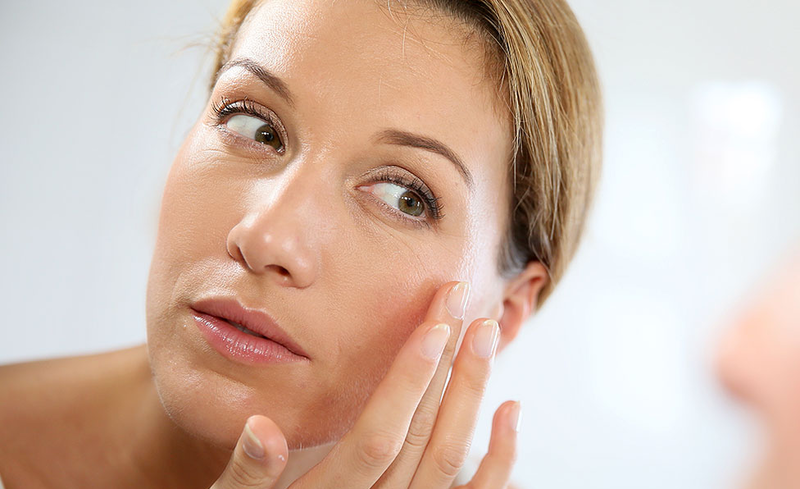 Vitamin A, or Retinol: One of the top ingredients found in many night creams that fight signs of aging is Vitamin A. It appears under various names like retinoid, retinol, retinyl palmitate, and retinyl linoleate. Retinol accelerates cellular repair and speeds up blood circulation. This gets rid of dead cells and increases the amount of collagen and elastin. The result is that your skin looks younger as sun spots, wrinkles, fine lines, and saggy skin disappear. A note of warning about Vitamin A and its derivatives: it will make your skin more sensitive to sunlight, which will then undo all its hard work. It’s best to use this product at night, then follow up with a sunscreen in the daytime. Combine retinol products with a good moisturizer so your skin is less likely to get irritated. Hyaluronic acid: The next ingredient in night creams is hyaluronic acid, something your body makes on its own, but its quantity lessens with age. Hyaluronic acid attracts water into the skin to plump it up and make it soft and smooth. If you want the deepest penetration into your skin, choose a micro hyaluronic formula. Antioxidants: Vitamin C, green tea, and caffeine are antioxidants that can ward off wrinkles, spots, and possibly cancer because they protect cells from environmental damage. Harmful molecules called free radicals start forming in your body when you’re exposed to UV rays and certain pollutants. The antioxidants stop the free radicals from hurting elastin, collagen, and even your DNA. Some antioxidants fade skin discoloration while they repair cells. Humectants: When you want your skin to soak up moisture, you need humectants like glycerin, niacinamide, and urea. Emollients: Persons with very sensitive or acne-prone skin need to go easy and be choosy with emollients, but everyone else can enjoy any number of them. Some of the most common ones in night creams are shea butter, argan oil, jojoba oil, and coconut oil. Emollients like these seal in moisture so skin feels plump and soft. Now let’s take a look at the wide range of the best night creams that fight signs of aging. Era Organic’s Natural Face Cream is popular due to its natural and organic ingredients and the fact that it actually seems to work very well. Just a little dab goes a long way so the jar lasts for a while. Users say it healed their dry skin without feeling greasy. One commented that her makeup goes on smoother the next morning. It doesn’t have parabens, sulfates, alcohols, petroleum products, or artificial dyes or fragrances so it’s not irritating to skin. Instead, it’s packed with healing ingredients like aloe, coconut oil, honey, shea butter, Vitamin E, Vitamin A, algae, hemp seed oil, and glycerin, to name just a few. Era Organics says the hydration from their formula lasts 8 to 12 hours. It’s balanced to keep skin at a natural pH of 5.5. You can use it to treat bug bites, chapped skin, and sunburn, too. If you’re not completely happy, they offer a 60-day money-back guarantee. Body Merry’s Retinol Surge Cream contains 2.5% retinol, a strong concentration. That key ingredient against wrinkles and age spots is combined with green tea, organic jojoba oil, Vitamins E and B5, and shea butter. It’s like a serum and cream mixed together because it treats fine lines, discoloration, and even acne breakouts all at once. Speaking of breakouts, one user commented that the third ingredient on the label is palm oil which is somewhat comedogenic. If you have acne-prone skin, try this cream on a small area and wait a day to see how you react. L’Oreal Paris created the RevitaLift Night Cream with Pro-Retinol A and their proprietary Stimuplex formula to firm up skin, erase fine lines, and moisturize dry skin. A quick read through the ingredients on the label reveals that it’s water-based. It contains glycerin, fatty alcohol, shea butter, beeswax, soy protein, sunflower oil, and Vitamin A. But if you have sensitive skin, be aware that it also has petrolatum, fragrance, and parabens. LilyAna Naturals strives to counterbalance the drying effects of Retin-A by loading their Cream Moisturizer with shea butter, jojoba oil, hyaluronic acid, Vitamin E, and green tea. They recommend their product for both men and women with any skin type. Their non-greasy cream does not contain artificial fragrances, gluten, or parabens. It is also cruelty-free because it was never tested on animals. The soft scent is derived from aloe vera and green tea. A user commented that this product even reduces the appearance of old acne scars. That’s a normal effect of using a strong retinol cream. Mario Badescu’s Seaweed Night Cream is a rich moisturizer for your face if you want to avoid products with retinol. It uses the power of elastin, collagen, and hyaluronic acid to hydrate dry skin. Then the vitamins and minerals derived from bladderwrack extract feed skin the nutrients it needs to heal during the night. Users say it’s thick but not greasy. It tingles a little bit when applied. They see a marked difference in the softness of their skin the next morning. Glytone harnesses the power of glycolic acid to fade skin discolorations while you sleep. They say you’ll has a brighter complexion with regular use of their product. It also includes red tea extract and peptides to protect and soften skin. The Vichy LiftActiv Night Supreme Firming Cream won Good Housekeeping’s Anti-Aging Award in 2013 for its effectiveness against wrinkles and dry skin. The thick, velvety formula isn’t sticky or greasy, and it’s ideal for sensitive skin. Vichy says the main ingredients are rhamnose, a plant sugar that rejuvenates skin, and a gentle exfoliating agent that leaves your face soft and dewy-fresh. Although the label lists petrolatum and a fragrance, there are no parabens. Users say the scent is very light. They like the cream because it makes fine lines disappear. Strivectin contains Retinol and Retinyl Palmitate to kick your skin’s rejuvenative forces into high gear. Besides those two key ingredients, when you read the label, you’ll see this formula is literally packed with nutrients and moisturizers. Strivectin surveyed their customers after they had used this product for 4 weeks. They found that 94% reported having smoother skin, 88% felt like their skin was hydrated and nourished, and 83% saw a noticeable difference with firmer skin. Some customers swear by it and have used it for years. Strivectin recommends applying their AR Advanced Retinol Concentrated Serum, then applying the Night Moisturizer for maximum effect. Apply the AR Serum both morning and night to clean, dry skin. Massage until it’s completely absorbed. Then apply the moisturizer over the top. Baebody Retinol Moisturizer Cream for Face and Eye Area - With 2.5% Active Retinol, Hyaluronic Acid, Vitamin E.
Baebody’s Retinol Moisturizer Cream contains 2.5% active retinol, a good concentration for an over-the-counter product. The rest of the formula is 71% organic, with components like aloe vera, sunflower oil, glycerin, hyaluronic acid, green tea, jojoba oil, Vitamins B5 and E, and shea butter. It doesn’t have parabens, artificial fragrances, or dyes, but the very last ingredient is alcohol. Here is the full list for comparison purposes: organic herbal infusion, organic aloe barbadensis (aloe vera), organic helianthus annuus (sunflower oil), isopropyl palmitate (palm oil), glyceryl stearate, cetyl alcohol, stearic acid, cassia angustifolia seed polysaccharide (botanical hyaluronic acid), kosher vegetable glycerin, retinol, organic simmondsia chinensis (jojoba oil), camellia sinensis (green tea), resina propoli (propolis), butyrospermum parkii (shea butter), panthenol (vitamin b5), tocopherol (vitamin e), phenoxyethanol, xanthan gum, phospholipids (lecithin), pentylene glycol, polysorbate 20, potassium sorbate, ethylhexyl glycerin, alcohol. Kleem Organics’ Retinol Moisturizer also contains a 2.5% solution of Retinol plus hyaluronic acid, jojoba oil, green tea, and Vitamin E. It doesn’t have parabens and is alcohol-free. Compare their ingredients with the Baebody Moisturizer above and the Radha Beauty one below. This is the full ingredient list for comparison purposes: organic aloe barbadensis (aloe vera), organic helianthus annuus (sunflower oil), isopropyl palmitate (palm oil), pentylene glycol, hyaluronic acid, phospholipids, retinol, polysorbate 20, potassium phosphate, tocopheryl (vitamin e), cassia angustifolia seed polysaccharide, glyceryl stearate, cetanol, stearic acid, kosher vegetable glycerin, organic simmondsia chinensis (jojoba oil), wildcrafted camellia sinensis (green tea), wildcrafted resina propoli (propolis), butyrospermum parkii (shea butter), panthenol (vitamin b5), rose ether, ethylhexyl glycerin, xanthan gum, and citric acid. Radha Beauty’s Retinol Moisturizer Cream also contains Retinol plus 71% organic ingredients including aloe, green tea, jojoba oil, and shea butter. The full list reads like this: organic aloe vera, organic sunflower oil, palm oil, Pentylene glycol, Phospholipids, retinol, polysorbate 20, potassium phosphate, vitamin E, Cassia angustifolia seed (hyaluronic acid), glyceryl stearate, stearic acid, kosher vegetable glycerin, organic jojoba oil, wildcrafted green tea, Shea butter, panthenol-vitamin B5, phenoxyethanol, ethylhexyl glycerin, xanthan gum, citric acid. As you can see, all three formulas are similar, and users seem to like all three products. Just one note if you have sensitive skin: the palm oil in each one could cause breakouts because it’s potentially comedogenic unlike jojoba or sunflower oils. BeeFriendly’s Best Night Cream is handmade by holistic beekeepers in Hawaii. That alone makes it sound appealing! The formula is water-based and contains organic extra virgin olive oil, beeswax with pollen & propolis, raw Hawaiian honey, geranium essential oil, lemon essential oil, and Vitamin E.
Users say just a small amount of this thick, rich cream goes a long way. It initially seems greasy but sinks in quickly, and leaves skin very soft and smooth. BeeFriendly recommends applying it to your face, neck, and decollette. Mee Beauty’s Best Anti-Aging Night Cream is also based on pure honey because it’s naturally antibacterial and attracts moisture into skin. They say they are a family-owned business of beekeepers and they donate a percentage of their revenue to Save the Bees. This cream’s users report that they love the thick cream that has a lovely soft scent and leaves their skin very soft. Some say they feared they would have a break-out, but have been able to use the moisturizer without any problems. Eva Naturals’s Vanilla Bean Night Cream smells delicious and leaves skin soft and hydrated in the morning. It contains vanilla bean plus shiitake mushroom (kojic acid) to brighten skin tone and CoQ10 to speed up collagen production. The green tea shrinks puffy areas under eyes while Vitamins B5 and E neutralize free radicals. Coconut oil is a natural antibiotic that softens skin while Rooibos (red tea) adds moisture to it. Users say they appreciate the tasty scent and the fact that it doesn’t irritate their eyes. Their skin is noticeably softer when they use it. It’s a good thing Israeli company AHAVA sells their products abroad because they are very popular. Their Time to Hydrate Night Replenisher combines sweet almond extract, avocado and jojoba oil so you wake up with hydrated soft, and younger-looking skin. Investing in a good night cream is a must for 30s and up. When we sleep is when our skin does most of its healing and recovery work. Having a good night cream helps in this recovery process. We hope we helped you discover the perfect anti-aging night cream to replenish and rejuvenate your skin. And if you're looking for a day cream that combats anti-aging, check out our article to learn our recommendations.